You must have a North Carolina driver's license to legally operate a motor vehicle on public roads and highways. The North Carolina Division of Motor Vehicles (DMV) explains how to apply for a new license if you're new to North Carolina, have never had a license before, or are a non-citizen. NOTE: This page is for drivers 18 years old and older. If you're a teen who needs to go through the GDL process or has just moved to the state, visit our Teen Drivers page. If you have a valid out-of-state license and want to continue to drive legally, apply for a NC driver's license within 60 days of establishing permanent residence in the state. You will need to bring proof of identity, residency and social security number when you apply. You must pass the vision exam, written test, and road signs tests. Once you pass, you'll receive a Temporary Driving Certificate; your permanent North Carolina driver's license should arrive by mail within 20 days. You may be exempt from the written and road tests if you surrender your valid out-of-state license. If you don't have a valid out-of-state driver's license*, you'll apply for a first-time driver license in North Carolina. See “Obtain a North Carolina Learner's Permit" and “Apply for Your NC Driver's License" below. * If you do have an out-of-state license but it's been suspended, revoked, or canceled, you must meet your former state's reinstatement requirements before getting a NC driver license. See our section on Suspended Licenses and choose your former state for details. This page outlines how to obtain a first-time driver license in North Carolina for drivers 18 years old and older. Our Teen Drivers section outlines how to work through the Graduated Driver Licensing (GDL) program and eventually obtain your full NC driver license. We explain how to get a motorcycle endorsement on your provisional driver license, regular driver license, or commercial driver license (CDL). Learn the state and federal requirements to obtain a CDL and legally operate commercial vehicles. This license allows you to drive combinations of noncommercial vehicles with gross vehicle weight ratings (GVWR) of fewer than 26,001 lbs OR one including a towed unit weighing at least 10,001 lbs. This license allows you to drive any one noncommercial vehicle with a GVWR of at least 26,001 lbs OR while towing a unit weighing fewer than 10,001 lbs. This license allows you to operate regular passenger cars and trucks. The Class C license is the license most North Carolina drivers need. * You'll apply for Class A and Class B licenses the same way you'd apply for a Class C license, except you must bring the appropriate vehicle for the license type to your road test. See “Apply for Your NC Driver's License" below. Again, this page instructs you on how to get a new North Carolina driver's license if you're 18 years old or older; otherwise, refer to our Teen Drivers section. You don't have any outstanding suspensions, revocations, or cancellations. You haven't been deemed unfit or unsafe to drive by the NC DMV or a court. Military members and their dependents. They must have valid out-of-state licenses. See “Military Drivers in NC" below. Out-of-state NC college or university students. Salespeople** who live in other states but travel to North Carolina. * The NC DMV doesn't consider non-residents the same as non-citizens. For information about non-citizens, see “Non-Citizens and NC Driver's Licenses" below. ** If you live in another state but conduct business in North Carolina and aren't sure whether that qualifies you as a non-resident, contact the NC DMV. The North Carolina DMV doesn't require you to obtain a learner's permit, but it does make them available should you want to practice driving before applying for your new Class C driver's license. Most North Carolina Division of Motor Vehicles (DMV) offices offer appointments. Call ahead for hours and days of operation, as these vary by office. 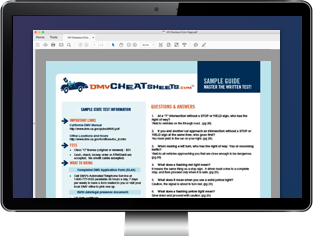 Don't leave your permit test to chance—take our free permit practice test with questions directly from the NC driver handbook. It's the fastest, easiest way to set yourself up for success! See “Document Requirements" under “Apply for Your NC Driver's License" below. Study the state's driver handbook and take a practice test or two to prepare. You must pay with cash, a personal check, or a money order. Because learner's permits are optional, you do not have to keep your permit for any specific length of time. You'll receive a Temporary Driving Certificate at the DMV and your learner's permit will arrive by mail typically within 20 days. How you apply for a new North Carolina driver's license will depend on whether you obtained a learner's permit. Call your local DMV office for a driving test appointment. Some, but not all, DMV offices offer appointments. Show the appropriate documents (see “Document Requirements" below). Take and pass the driving test. Under normal circumstances, the DMV won't require any other tests; however, if you've experienced a change in vision you might be required to pass another vision exam. You'll need to bring your own registered and insured vehicle. Pay the applicable fee (see “NC Driver License Fees" below). If you didn't obtain a learner's permit, you'll take a few more steps. Call your local DMV office and ask if appointments are available. Visit the office with required documents . The DMV provides full lists of acceptable documents. Expect questions on traffic signs and motor vehicle laws. You can study the state's driver handbook and take a few practice tests to prepare. Call your local DMV for appointment information. Once you pass the driving test, you'll receive a Temporary Driving Permit. Your permanent NC driver's license should arrive by mail within 20 days. 1 document proving your legal presence if you are a non-citizen. The NC DMV reserves the right to make copies of these documents, so you might not have to show them again if you've shown them once (for example, during your application for a permit). Call ahead if you're not sure. For full lists of acceptable documents to bring in for the Real ID, take a look at the North Carolina DMV website. Ages 18 to 65 years old: 8 years. Ages 66 years old and older: 5 years. Military personnel and their dependents do not need to apply for North Carolina driver licenses; they are considered non-residents. Won't renew your out-of-state license while you're in NC. Hasn't granted you a military extension. You'll apply for your license the same way NC residents apply. See above. The North Carolina Division of Motor Vehicles (DMV) provides a list of acceptable residency documents for non-citizens. North Carolina doesn't honor international driver licenses; you must have a license government-issued in North Carolina or your home state to legally drive in NC. For more information specific to your situation, contact the NC DMV.